Chamber Music at the Clark concert seating is determined via lottery. The booking-by-lottery entry form for Cheng² Duo concert seats posts here on Thursday, January 25, 2018. Lottery registration closes Thursday, February 15, 2018. Celebrated by audiences and critics alike for their artistic excellence, generous spirit, and compelling vibrancy, Canadian brother-and-sister duo Silvie and Bryan Cheng have been making music together for the past 14 years. 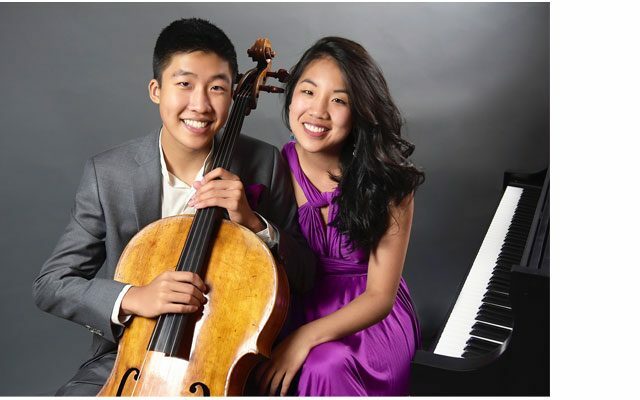 In 2011, when they were called upon to replace an injured musician for a scheduled recital in Carnegie Hall’s Weill Recital Hall, they officially became known as Cheng² Duo, pronounced Cheng Squared Duo. The duo’s New York debut was met with an enthusiastic full-house audience, as well as critical acclaim. Cheng² Duo’s refreshing approach to making classical music accessible to new audiences of all backgrounds is steeped in a rare balance of infectious joy and enthusiasm in their playing, combined with mature, historically informed, and profound interpretations.